ReThink Education recently distributed our 2016 Social Impact Report to limited partners. Every member of our team is committed to a continual improvement of our capacity to assess the social impact of the companies we invest in. Our first report, whatever its imperfections, reflects the high priority we assign to the assessment and measurement of social impact. Our impact assessment framework reflects our fundamental values. First, we want to help the disadvantaged and vulnerable, both in the U.S. and around the globe, to reach their full human potential and to thrive as workers, citizens, and family members. We want to provide new opportunities to the poor, to the illiterate, to the imprisoned, to those who struggle with a cognitive difference like autism or ADHD, and to those who face discrimination and persecution. Second, we want to transform learning for everyone, both rich and poor. We believe that educational institutions, processes, and tools around the world are broken. Billions of people suffer and fail to achieve their potential because they are taught in the wrong way: our learning tools and institutions are hierarchical, rigid, and unidirectional. Abundant research demonstrates that what works is the opposite approach: people learn best through personalized, collaborative, self-paced exploration linked to their own interests and passions. Third, we want to respect the needs of all the stakeholders in our firm and in the firms in which we invest. We want our companies to benefit customers, employees, investors, and the larger communities that they inhabit. 1) The Pedagogical Model: we examine the clarity and quality of the product’s intended outcome; the extent to which it is personalized, collaborative, project-based, and oriented toward the student; the extent to which it harnesses passion and knowledge; and the extent to which it uses assessment loops, providing continual feedback, fostering self-reflection and metacognition, and creating deeper engagement for the learner. 2) The Transformation of Institutions and Communities: we look at impacts including user engagement; strength of implementation and support; the extent to which the product helps improve the habits and practices of the user; and the amount of money an institution or community saves. 3) The Technology: we examine a product or service’s ease of use and quality of design; the breadth of access it offers; the robustness of its architecture; and its capacity for integration with existing systems and practices. 4) The Enterprise Model: we pay careful attention to the uniqueness of the company’s approach; the company’s need for Rethink as investors; the scalability of the company’s approach; the quality of its governance; and its commitment to continuous improvement. Our assessment framework is rooted in these core values and in our combined decades of experience as educators, entrepreneurs, philanthropists and investors in impact-oriented education start-ups. We also found Michael Fullan and Katelyn Donnelly’s report “Alive in the Swamp: Assessing Digital Innovations in Education” enormously helpful. Most of their points were already part of our evolving rubric, but they helped refine our definitions and expand our set of questions. Their report focuses on K-12 school systems, but most of their points were also applicable to post-secondary education, workforce training, and direct-to-consumer education business models. We have adopted their fundamental three categories (pedagogy, technology, and system change), but we have modified their subcategories and added a fourth fundamental category, the enterprise model, to capture the impact questions relevant to investing in and running entrepreneurial businesses in the education sector. We developed our framework because none of the existing social impact frameworks were designed to assess innovative educational technology businesses. Much socially responsible investing currently focuses on ESG (environmental, social, and governance) criteria, but we have found that many ESG investing criteria are not relevant to our desired outcomes. None of the companies with which we work have issues with hazardous waste or animal welfare. At the same time, there are many governance questions on which we believe we need a finer-grained approach or criteria more specific to an entrepreneurial technology business. Additionally, we believe that the true impact of a company is more related to the effect of its products and services than to the inner workings of the company itself. This impact assessment framework is an increasingly useful tool-kit for evaluating potential investments. We are somewhat more tentative, though, in our conclusions about the best ways to measure the progress of our portfolio companies after we invest in them. It is clear that we need to collect numbers that allow us to track performance over time; it is less clear which numbers we should use and how best to collect them. As such, this will be an evolving exercise as we better understand the necessary metrics for success, as well as improve upon our ability to gather relevant data. We do not yet have the perfect solution, but we are working to improve our methods. Our provisional conclusion is that we will track two numbers for every portfolio company: the number of learners who benefit and the number of those learners who are economically vulnerable (free and reduced lunch students, Pell Grant recipients, the under-employed, etc.). For each of our portfolio companies, we will then track one or two additional numbers relevant to that company’s mission. For example, for a K-12 software company whose tools help school districts manage their budgets more effectively and equitably, one crucial number is the total number of budget dollars managed by the company’s tools, whereas for a continuing education boot-camp provider that prepares students for careers in programming, the most important metrics are the job placement rate and starting salary for graduates. In addition to tracking these numbers across time, we will also gather other evidence of impact when it is available. This evidence could include case studies, randomized controlled trials, evidence of user engagement and customer satisfaction, and panel presentations by customers and other anecdotal evidence. 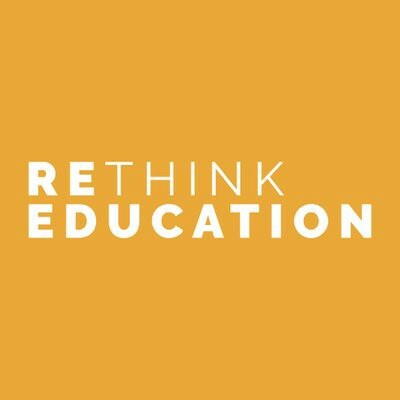 At a high level, the portfolio of ReThink Education cumulatively reached 21.6 million students in 2016, approximately 8.8 million of whom were low-income. In total, 34% of the portfolio companies have a female CEO or founder. Through the end of 2016, we had 24 remaining portfolio companies (those that have not realized an exit), and they fell into the following categories: seven companies providing infrastructure and analytics; seven providing innovative curriculum; six providing schools and services; and four targeting new forms of academic credentialing. While many of the results in our Impact Report must remain private, we hope that both the idea of tracking nuanced metrics for success and the annual distribution of such a report to investors can become more commonplace across the industry. Social impact investing is quite clearly on the upswing across investment sectors and verticals, but we all need to work on our impact assessment methods. We believe that our impact assessment will help us to help our portfolio companies improve their products and services…and their businesses. Investing in companies that we believe meet the challenges and opportunities of 21st century learning.